Week five came so quickly, where do the weeks go? Ok, so I opened Mary Berry’s bible for my weekly inspiration and my mum was also coming up to visit …and the lemon meringue pie recipe just jumped out at me. A quick trip around my local Morrisons to get some condensed milk and some unwaxed lemons and I was off. A roast dinner with mum and hubby was planned so that all went in and then I got out my all new, all singing, all dancing Breville mixer on a stand (I don’t just buy things you know- my electric hand mixer only had one speed- despite what it said on it- and that speed was “painfully slow”! I crushed the digestive biscuits, melted the butter and mixed my base, and pressed it into my flan tin (yes- that was new last week!) and put that in the fridge. Then I mixed together the lemon filling- Mary Berry says mix the tin of condensed milk, the “finely grated” rind and juice of 3 lemons and 3 egg yolks. The Breville made short work of that and that was poured on the base and set to chill. Lastly, the 3 egg whites and caster sugar were whisked by the trusty Breville until it was forming nice soft peaks. 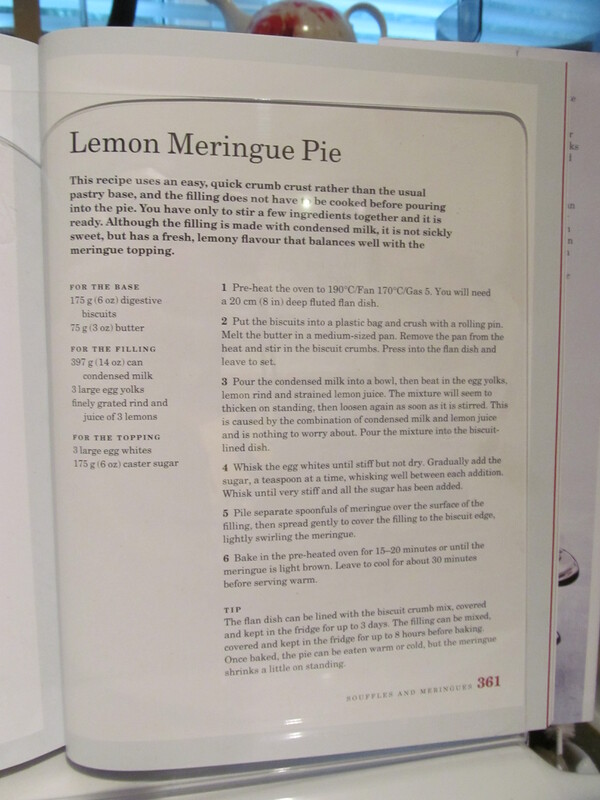 The mix was spread on the lemon topping, swirled around and put into the pre- heated oven for 20 minutes. This is the final effort and Ieven if I do say so myself, I think it looked ok.
Once the roast dinner was consumed, I then dished the pie up for pudding..and it seemed to go down well with hubby and mum! Hopefully one/both of them will leave a comment with a truthful opinion! 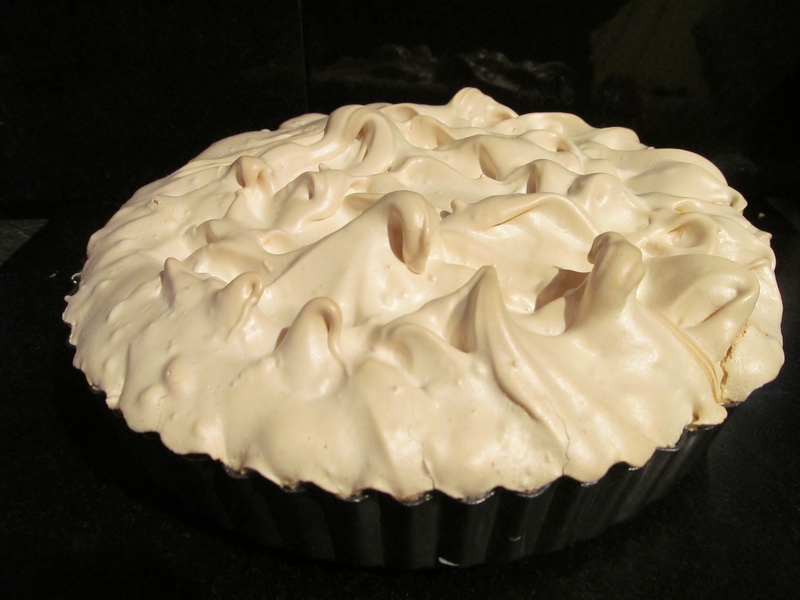 This entry was posted in Kim's cake challenge and tagged Butter, condensed milk, dessert, digestive biscuits, Kim's Cake Challenge, lemon, lemon meringue pie, lemon meringue pie recipe, Mary Berry, meringue, meringue pie recipe, morrisons, pie, unwaxed lemons by kimsideas. Bookmark the permalink. 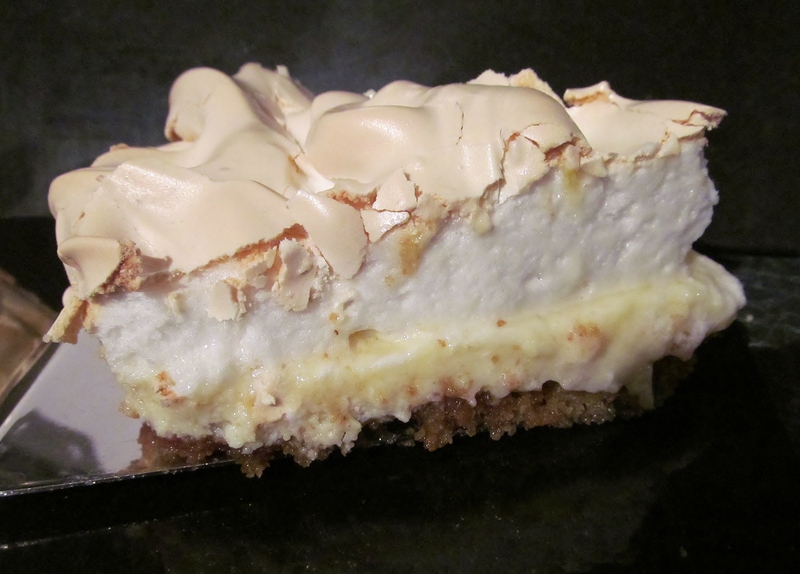 Without a doubt, this was one delicious Lemon Meringue pie !!! Don’t think we’ll ever eat a shop brought one again.. :0) Well done my darling wifey!!! !